The Rick Hansen Relay journeys to his hometown in Williams Lake, BC. 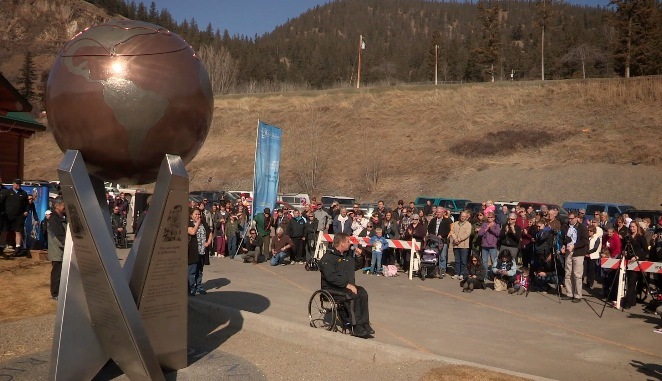 The community of Williams Lake celebrates the 25th anniversary of the Rick Hansen Man In Motion tour with the unveiling of the Rick Hansen Monument. It is inspirational for Chris Wheeler Media to film the Rick Hansen Relay across Canada and the Williams Lake homecoming was extra special as the town embraces their local hero. Great job Chris! You really captured the moment. No guitar picking from Don though …??? Thanks and yes Don is a rock star on the Guitar!